Writing a novel is hard. You switch between drafts, outlines, character profiles, and notes. You lose time, you lose flow. You need something better but don’t want to wrestle with hundreds of features. 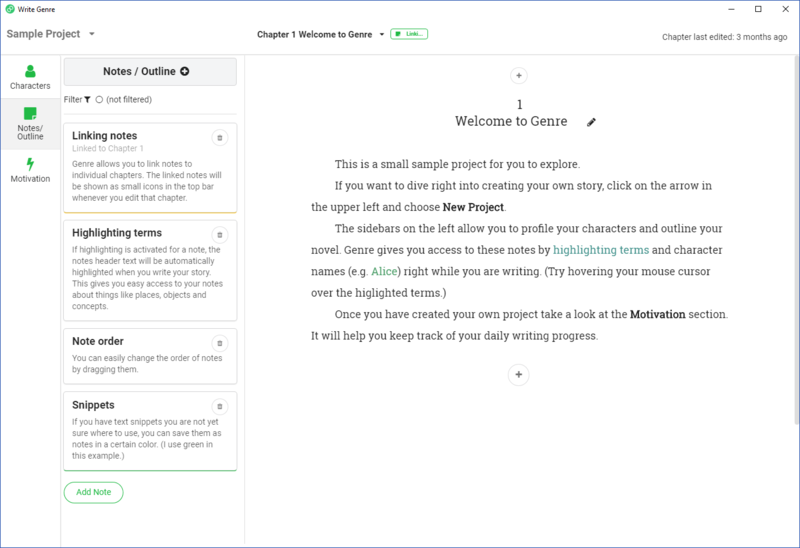 Write Genre has a clean and easy interface, yet is more powerful than a word processor. Write Genre puts all your notes and profiles where you need them. Right next to and into your writing. What makes Write Genre better? Write Genre has everything in one clean and easy interface. No more separate notes, outlines, profiles and word counts. We stripped out all the features you don't need and put all the essentials in one easy to learn interface. Who is Write Genre for? Many published authors claim that writing daily is the key to beating writer's block and finishing your story. 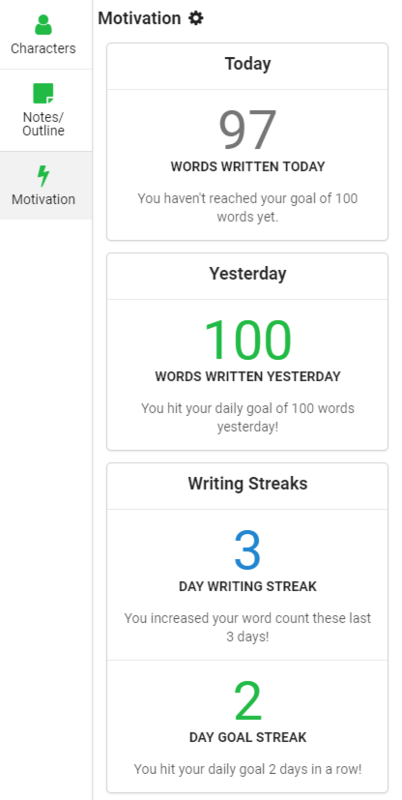 Set a daily goal and an overall goal for your novel or story and track your progress. You will want to keep your writing streak going by writing every day. This is a powerful psychological help to keep at and actually finish your book. 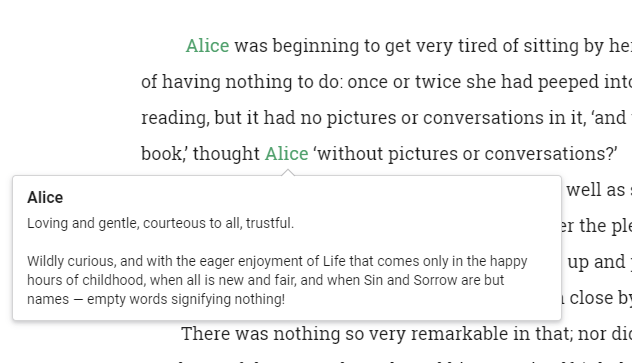 Create and read notes for your characters in the character sidebar without leaving your story. No more annoying window changing or scrolling that pulls you out of the flow. Type a character's name and it will be highlighted. You can see your note by hovering the cursor over it. Genre creates a backup of your story every day you open it. Easily view or restore older versions of your story. You can export your story and notes anytime. Import them into another application for formatting or further editing. The Outline/Notes sidebar has all your notes right next to your writing. You can also link notes to a chapter. They will then be pinned in the top bar for that chapter. With genre there is no more need for a separate outline or notes document. Stay in the flow without having to change windows or tabs. Activate highlighting for a term, to highlight it in your story. Put your mouse over that term to see your note.